Taking a look at the daily operations of this buzzing hive of activity, Sydney Harbour Patrol follows the elite team who work day and night to keep the world famous waterfront running. 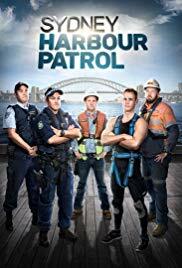 They fight to maintain law and order, ensure massive construction projects stay on track, protect the delicate ecosystem against poachers and keep congested shipping lanes clear of dangerous debris from accidents and fierce storms.This series shows the struggles and triumphs of this dedicated group of workers, as they tackle the Harbour’s mammoth logistical challenges. With unprecedented behind-the-scenes access, Sydney Harbour Patrol reveals a side to one of the world’s most beautiful cities that is rarely seen.